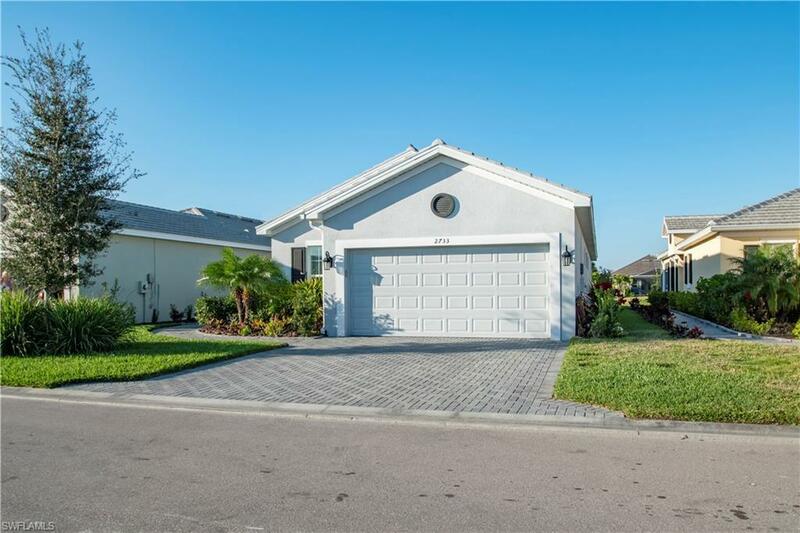 Come see this beautiful Lake-side home located in Cape Coral in the community of Sandoval. This very well-maintained home has 3 bedrooms, 2 baths plus den and is only 2 years old. The home boasts many upgrades to include Security System, upgraded Quartz counter tops in kitchen and both bathrooms, and upgraded tile throughout the home. Kitchen has stainless steel appliances. Watch the numerous wildlife from your extended Lanai with a TV, that overlooks the Lake making for a very tranquil lifestyle. After purchase upgrades in Laundry Room include cabinets and shelving and wide driveway for your large 24' x 20' garage. Sandoval offers many amenities including a very large family Pool, Club House, Gym, Tennis Courts, Pickle Ball and much more. The community is gated to provide for your added security. This home is a must see if you are looking in the Sandoval community or Cape Coral. Great location with easy access to Veterans Parkway and Fort Myers, and close to stores and restaurants.